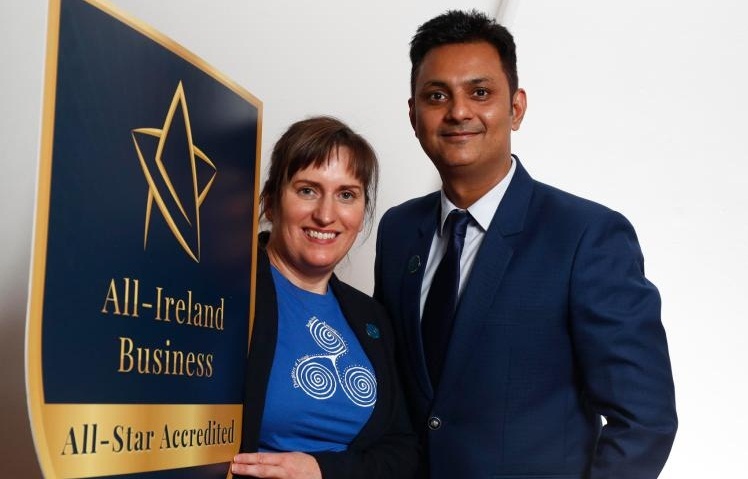 A Monasterevin company has become one of the first businesses in the country to achieve a new quality mark for the highest standards of service and trust. 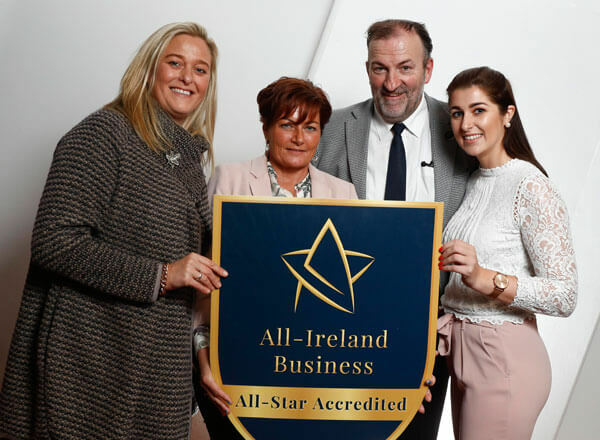 Angelina’s ArtVentures has been awarded the coveted All-Ireland Business All-Star accreditation – an independently verified standard mark for indigenous businesses, based on rigorous selection criteria. Angelina’s ArtVentures was founded in 2016 by Angelina Foster, to imprint her love of art and travel adventures on a range of coasters, bags, t-shirts, and umbrellas. 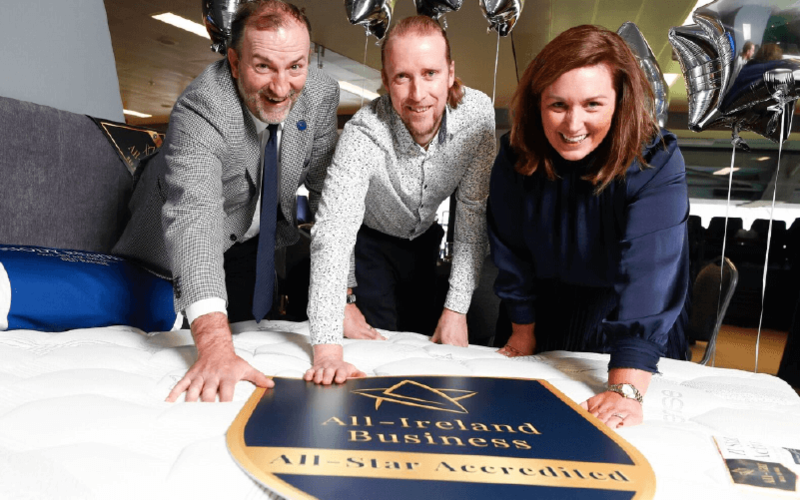 The Ballykelly, Monasterevin-based company impressed judges with its “unique and memorable pieces of fun Irish heritage art, on affordable, luxury products,” according to Kieran Ring. “The company’s commitment to design and its customer base were particularly evident in the judging process,” he said. Angelina’s artwork is inspired by the beauty of the peatlands, Ireland’s rich equine culture, dance and the stories of Ireland’s Ancient East. 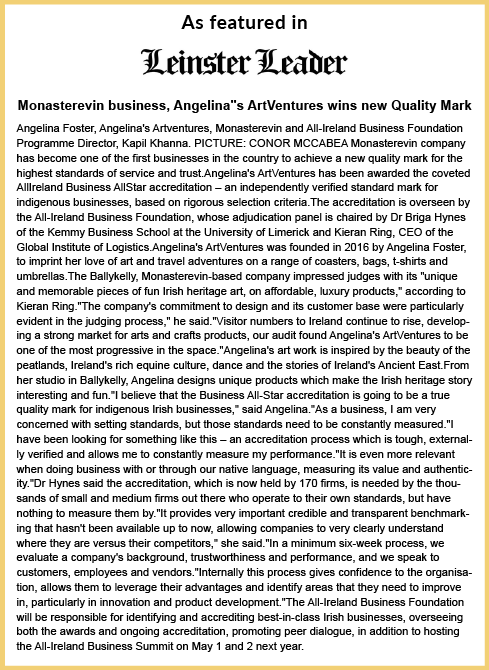 From her studio in Ballykelly, Angelina designs unique products which make the Irish heritage story interesting and fun. 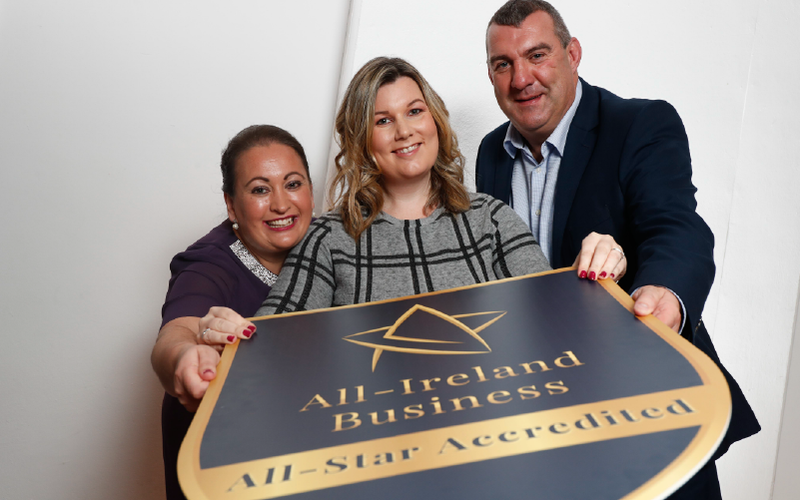 “I believe that the Business All-Star accreditation is going to be a true quality mark for indigenous Irish businesses,” said Angelina. “As a business, I am very concerned with setting standards, but those standards need to be constantly measured. 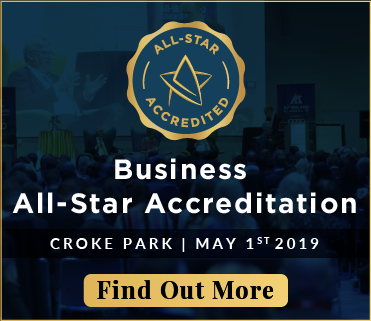 “I have been looking for something like this – an accreditation process which is tough, externally verified and allows me to constantly measure my performance. “In a minimum six-week process, we evaluate a company’s background, trustworthiness, and performance, and we speak to customers, employees, and vendors.